Growing up I was always a massive fan of the 'So...?' body sprays. They're fun scents with a kicky attitude and were super handy to throw into your school bag to freshen up throughout the day. I swear everyone had one in their bags when I was at school. They're also pretty inexpensive retailing at 6.95€ to 9.95€ for the EDT and 1.99€ for the body spray. I've never fallen out of love with 'So...?' and have continued to buy their body sprays over the years. Now a third year in college I still reach for my can of 'So...?' on the way out the door in the morning. 'So...? 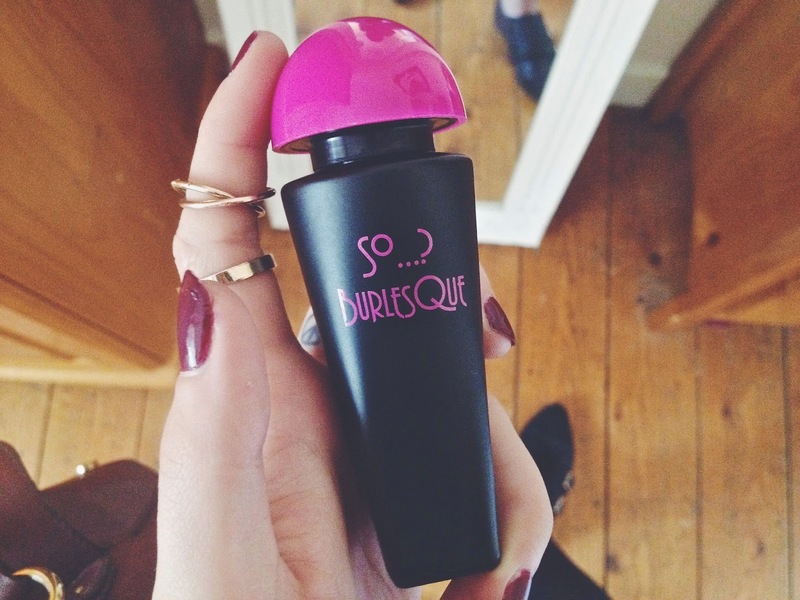 Burlesque' is the only scent from 'So...?' that I had yet to try. Truthfully I was always a little thrown by the packaging. It's very loud, dramatic and in your face. Things I usually shy away from when buying a product. But it's really grown on me. I love, love, love this fragrance and regret not trying it sooner. The scent is a heavy musky one with subtle hints of apricot, vanilla and my personal favourite, jasmine. They're flirty, fun and sophisticated with a hint of sassiness. The embodiment of burlesque all in a can. If Dita Von Teese was a scent, she'd be this one. Because the can is so small I can just pop it into my college bag as I'm running out the door and spray it throughout the day. I've never used any of the 'So...?' eau de toilettes before so I was really excited when this arrived as well as the body spray. The 'So...? Burlesque' EDT smells incredible. It's just that bit fresher than the body spray and last's a hell of a lot longer. I really like the packaging on this too. Matte black with a pop of fuchsia. Looks so cute sitting in my bathroom. 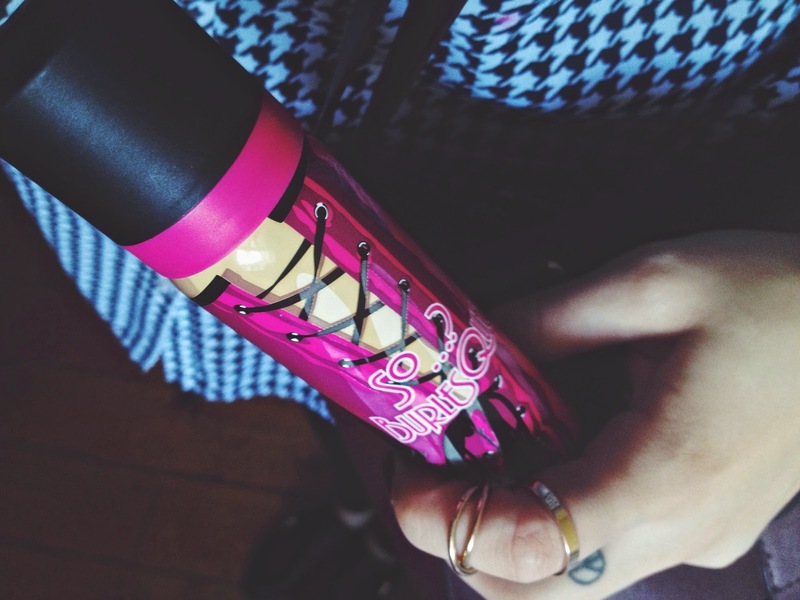 By using both the body spray and the eau de toilette you can layer the scents so it lasts longer throughout the day. Brilliant if you plan on heading out with some friends. Quick spritz of the ETD and a blast of the body spray will have you smelling and feeling like a sassy goddess. I fear I may run out of this a little quicker than anticipated because I'm over spraying it at the moment. It's the jasmine undertones. I'm a real sucker for jasmine. Have any of you tried this? What did you think? Comment below.